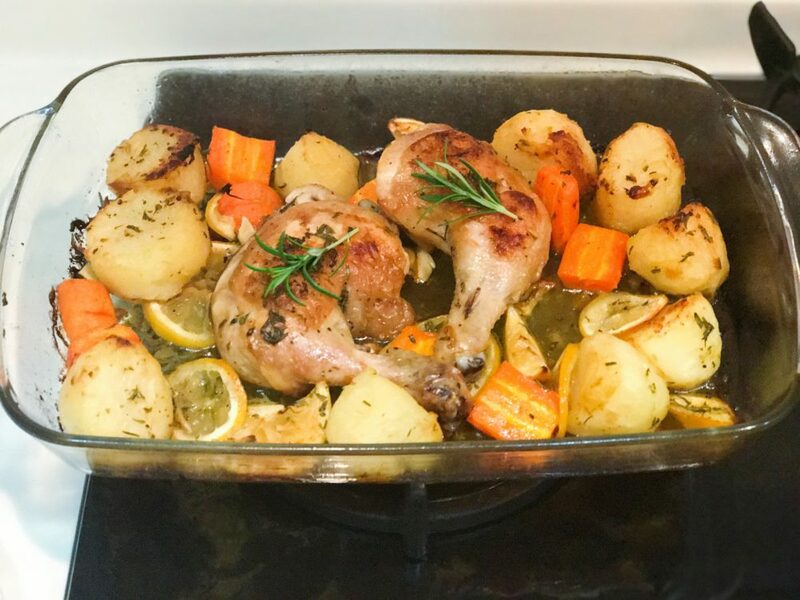 I’m not the best home cook but after much trials and errors, I have come to a conclusion that this is probably one of my TOP 10 easiest recipe and one of the yummiest one! Just prepare the ingredients, lay all of them on a single tray, season them and pop in the oven for one hour, done! 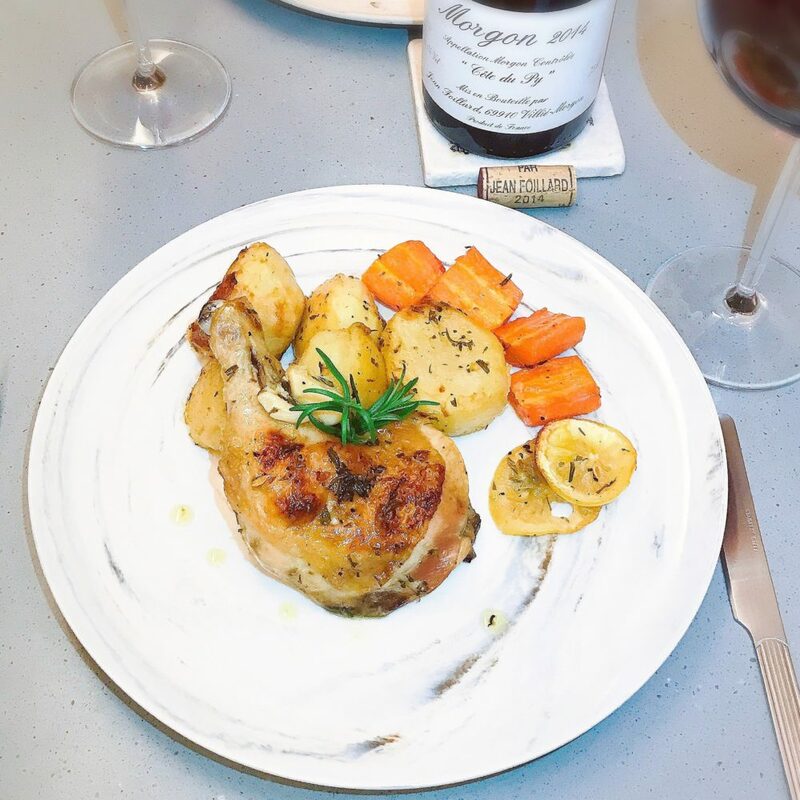 Chicken is moist and yummy, roasted garlic is sweet and to fight for. How can they be so easy and yummy?! Put this tray in the preheated oven: 200C for 1 hour. If you have time, turn the potatoes and vegetables halfway, if you don’t, just leave it for an hour. I like mine pair with a light red wine. Like this lovely Beaujolais Cru by Jean Foillard. Lovely natural organic wine made from 100% Gamay grape variety. Let me know if you like this simple recipe! 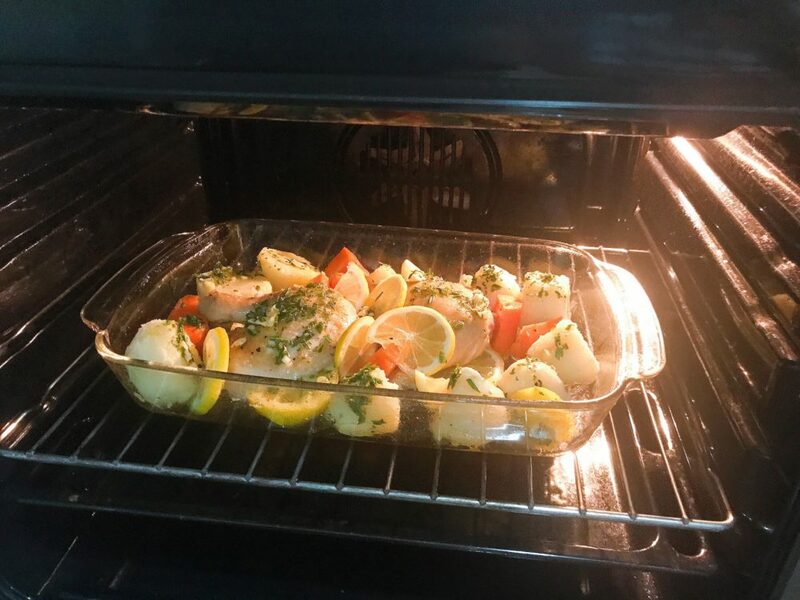 Previously I have tried to brown the chicken first, and par boiled the potatoes, but at the end I found out that even if I just pop everything in the oven without any prior-treatment they taste just as good! Why make things complicated! Let me know if you like this by commenting below! I’m definitely going to give this a try!! It looks delicious & I’m ready for fall comfort food.